While Christmas is about family reunions, parties, and gatherings, some of us prefer escaping that and relaxing with their loved ones. Some of us don’t have large families to share meals with during Christmas, so they escape. Some of us are too exhausted and want to escape the daily grind. I do that every second year with my family. We shut down everything and organize a nice Christmas getaway. Be aware that organizing a family vacation during Christmas is not the cheapest vacation. It is one of the most expensive times of the year. We usually travel to the Unites States as it is close and affordable for us. Here are some of the best Christmas family getaways in the United States. What do you do during Christmas holidays? 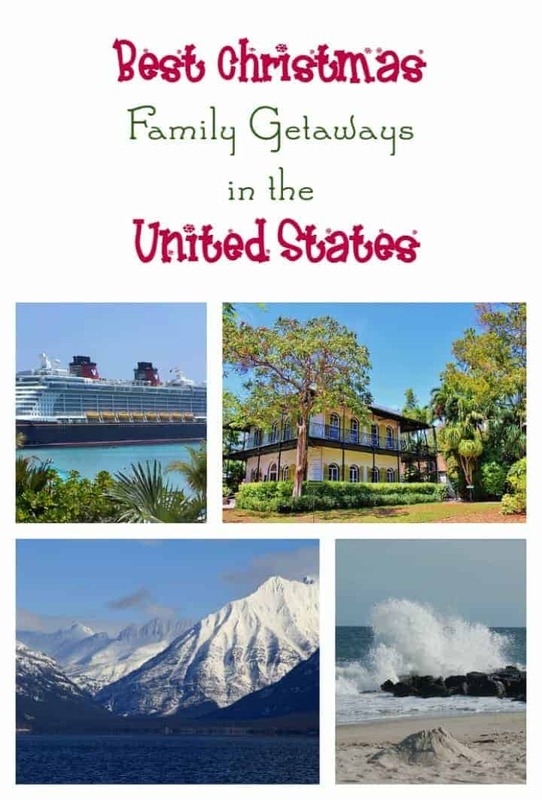 Do you plan a family getaway or do you stay home with the family? Tell me. Disney Cruise Lines has a fleet of ships that provide passengers with their Very Merry Time Cruise event. The ships are the Disney Magic, Disney Wonder, Disney Dream and Disney Fantasy. The cruise features a celebration at Castaway Cay, Disney’s private island. Castaway Cay becomes a winter wonderland complete with snow, Christmas tree and Mr. and Mrs. Snowman. Onboard the ship, you are treated to a flurry of holiday entertainment, décor, and activities including a tree lighting ceremony, holiday storytelling, life-sized gingerbread house and meet and greet with Santa Claus and an array of Disney characters. Congress Hall is a resort hotel in Cape May, New Jersey that has their annual Winter Wonderland event. For 2015, the event will run from November 27th to January 3rd. The 2015 Winter Wonderland is set to feature train rides, concert series, breakfast with Santa Claus, activities at Santa’s Workshop and story time with Mrs. Claus. The Hawks Cay Resort is located in the tropical Florida Keys. Hawks Cay Resort is laid out over 60-acres and features 177 guestrooms and 225 villas along with the award-winning Calm Waters Spa, kid’s club, teen club, five swimming pools, four restaurants, a saltwater lagoon and a marina. Each year, the resort offers guests its Hawks Cay Christmas package. The package includes discounted room rates and savings on resort activities as well as Christmas cookie decorating, meeting with Santa Claus, creating Christmas cards and hot chocolate with Mrs. Claus. The Resort at Paws Up is located in Greenough, Montana. The resort is stretched out over 37,000 acres and is a working cattle ranch. During the winter, there are tons of activities for the whole family to enjoy such as dogsledding, skiing, sleigh rides, and winter horseback riding. The resort offers their Christmas package that includes five nights of accommodations, meals, beverages and snacks daily, a personal family Santa Claus, dinner feast Christmas evening, cookie decorating and the family’s own decorated Christmas tree. Good list. I need to do this one day while I am still single. I’m always home for Christmas, but one of these years I think I’ll do Disney World! I wish I could escape the Christmas craziness and go away on a trip. It would be less stressful and definitely more relaxing. This looks like a great list! We’ve never been any of those places, but I would LOVE to. Especially at the holidays. Traveling during Christmas seems like such a great option for spending time with family, and not going to crazy trying to have the house perfectly decorated, etc. We usually just stay in town, but one of these years I would love to get away. Thanks for this list! We dream of a Disney Cruise! Waiting for a boy to grow up a little. Hawks Cay has been in my bucket list for awhile, we are only a few hours away by car! – Cape May is the cutest, quaintest, little town. We’ve been there a couple of times, we love to ride the ferry to DE. And Christmas at the Congress Hall sounds good for a fun old fashioned Christmas time! We normally just stay at home during the Holidays, but it would be a breath of fresh air to be able to go out! I love the idea of going on a staycation, just me and the family.